Medicare VS Medigap - What Are The Differences? 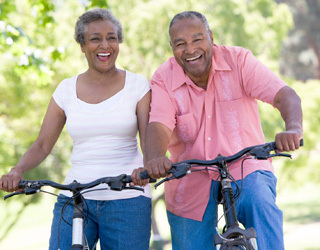 Medigap vs. Medicare Advantage: What is the Difference? You want to make an informed decision about which health insurance plan to buy, Medicare Advantage (MA) or Medicare Supplement Insurance (MSI, also called Medigap). Therefore, you should be very clear about which will serve your needs best. The two don’t work together. A Medigap policy cannot be used to pay Medicare Advantage Plan premiums, copayments or deductibles. If you have been seeking information regarding which is better, Medicare advantage or Medigap, it is important that you know the main difference between the two. It’s actually not an apples-to-apples comparison, so pitting Medicare vs. Medigap isn’t necessarily accurate. We explain this topic further below. There are a variety of private health care plans. And, they may offer extra benefits and lower copayments, but not always. There is usually a monthly premium, along with the Part B premium, but some don’t charge this. Also, most MA Plans include prescription drug coverage, with no extra cost. There are separate packages for hearing and vision, at extra cost. According to the law, all of these plans have annual limits on out-of-pocket expenses. People with MA Plans are required to go to in-network doctors and other healthcare providers. To go out of the network will require paying higher copays. People should know that it is illegal for an insurance company to sell a Medigap plan to anyone who is enrolled in an MA plan. This is an additional insurance policy with Medicare Part A and Part B. It pays for certain medical expenses that are not covered by Medicare. Except for Massachusetts, Wisconsin and Minnesota, every other state has 10 standardized Medigap Plans; A through N. Each plan has a different combination of benefits and deductibles. All Medigap plans have more benefits than Medicare Part A and Part B. But they don’t have prescription coverage. However, it can be added with Medicare Part D plan. Medigap can only be used by people who are enrolled in the conventional Medicare. Medigap is not run by the government, but by private insurance companies. It can cover most of the usual expenses that you have to pay in Medicare. These include the 20 percent you would pay for visiting a physician and for other outpatient treatments in Part B. Medigap also includes the Part A costs for hospital deductibles, as well as the cost of a medical emergency abroad and more. It depends on the type of policy. The law standardizes each of the 10 Medigap policies. So, the benefits are the same from any insurance company. However, insurance companies charge widely different prices for Medigap. As such, you should do some research to find the least expensive. Which plan has the best coverage? Standardized Medigap coverage is the same in 47 states, no matter which insurance company is used. But Medicare Advantage provides all of Medicare Part A and Part B, plus more, depending on the insurance company and the plan selected. However, any standard Medigap plan with Original Medicare (Parts A and B) will have more benefits than any standard MA plan. This is because standard MA plans are only required to offer the same Medicare Part A and B benefits. Prescription drug coverage may be included in some MA plans, with an additional cost. For prescription drug coverage in Medigap, you would need to enroll in a plan that offers prescription drug coverage, including coverage for specific drugs. Depending on your requirements, the costs for each plan go up or down. For one person with prescription drug coverage, Medigap may be cheaper, while for another, MA may be cheaper. For those who have Medicare because of a disability, Medigap policies may not be available to beneficiaries under the age of 65. Unless forbidden by law, Medigap providers can charge higher premiums for those with past and current health problems. For those 65 or over, there is federal protection. This stops the insurance companies from denying you coverage or charging more because of existing health issues. And, it doesn’t matter where you live, if you purchase the police within six months after your 65th birthday. Medicare Advantage for people with disabilities offers plans if they are less than 65 years old, regardless of any past or present health conditions. The one exception is end-stage renal disease (ESRD), where you need a kidney transplant or regular dialysis. In this case, you cannot enroll in any of these plans. But you are still eligible for care with an Original Medicare program. The main advantage of an MA plan over Medicare with Medigap? MA covers the same benefits that are included in Medicare Parts A and B, but usually has lower copayments. There may be no additional monthly premium, and everything is consolidated in one plan. The main advantage of Medigap is the larger selection of healthcare providers from which to choose. And, it will save you money if you have long-term treatment. If you are considering purchasing a Medicare Advantage or Medigap Plan, feel free to explore this website, HealthNetwork.com. We carry a wide variety of policies local to your area.